Compatible with Samsung Galaxy A8 SM-A800 only. Available in gold and white. Here is the white one. 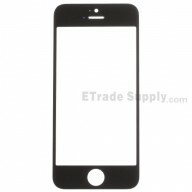 This LCD assembly includes the LCD display and Digitizer Touch Screen. This LCD and screen assembly replacement features the 5.7'' screen with the resolution of 1080 x 1920 pixels, 386 ppi pixel density. It is used to solve problems as your top glass is broken/scratched/shattered; a lack of touch sensitivity/touch unresponsive on your phone; blurred image; screen with bleeding/discolored sopts/missing pixels/ink blot/black liquid. Special repairing tools are required for assembling or disassembling, as the Samsung Galaxy A8 SM-A800 LCD and Digitizer Assembly is hermetically attached.